The Family and Medical Leave Act (FMLA) provides employees the right to take an unpaid leave in certain conditions without it effecting their job or position. The leave can be taken for certain medical conditions or family situations. There are criteria that must be met before an individual can take the leave. But while the employee is on leave, their job remains protected and they cannot be fired or replaced during the time that they are on leave. The law also requires that while the employee is off for leave the employer must continue to provide the health benefits for the worker as if they were at work during that time. An employee is entitled to 12 work weeks of leave during any 12 month period. It can only be taken for instances such as the birth of a child, to care for a newborn child or the placement of a child through adoption or foster care. FMLA is allowed in these instances within one year of the child being born or placed in the home. They may also take a leave of absence to take care of their spouse, child or parent who has a serious health related condition. The employee may take a leave if they have a health condition that inhibits them from properly performing the main functions of their job. Employees can also take a leave of absence in some cases, when a close family member such as a spouse, child or parent is considered to be on “covered active duty.” These circumstances must cause serious stress or pressure on the worker and it must meet certain criteria. Workers are eligible for 26 work weeks in a 12 month period for military caregiver leave if they need to care for a covered family member who sustains a serious service related injury or illness. They may take the leave to provide care for the family member. Employees are required to give the employer a 30 day advance notice when the leave is foreseeable. 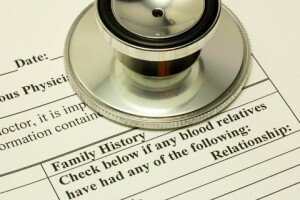 Which Employers are Subject to FMLA? Not every employer has to comply with the FMLA. Every public agency does have to follow the rules put forth in the FMLA. This includes state, federal and local employers like schools. But the requirements are different for private employers as it is based on the size of their business. Private employers who have 50 or more employees who worked for a minimum of 20 weeks during the previous or current year must comply with FMLA guidelines. Every covered employer is required to display a poster which is created by the Department of Labor which summarizes the provisions provided by the FMLA. What Happens to the Employee’s Job? When an employee returns from FMLA leave, they must be restored to their original job; or they can be given an equivalent job which has the same pay, benefits and all of the other terms and conditions of their employment before they took the leave. An employee cannot suffer any loss of benefits while off on leave. And the time off cannot be counted against them on any sort of attendance policy. However, if there is a bonus or payment that is given for achieving a certain goal such as the number of hours worked, perfect attendance, or number of products sold, and the employee did not meet the preset goal due to being off on FMLA leave, this payment or bonus can be denied. The employee does not have a greater right to benefits or conditions of the employment than what they had before they took the leave of absence. If you are not sure about the FELA laws or any other employment laws in your state, you should consult with a local employment lawyer.